Six years ago, on September 30, 2009, a civilian became a spaceflight participant aboard Soyuz TMA-16, a manned flight from the Baikonur Cosmodrome in Kazakhstan to and from the International Space Station (ISS). Joining two members of the Expedition 21 crew – Russian cosmonaut Maksim Surayev (Commander, from the Russian Federal Space Agency, FSA) and NASA Astronaut Jeffery Williams (Flight Engineer) – was Guy Laliberté, who paid approximately $35 million USD for his seat through the American firm Space Adventures, becoming the first Canadian space tourist in the process. Besides fulfilling a life-long dream, Laliberté’s spaceflight was dedicated to raising awareness on water issues facing humankind on planet Earth, making his spaceflight the first – in his words – “poetic social mission” in space. And much of this experience was captured on film and recently spun into a feature-length documentary entitled TOUCH THE SKY. While the documentary is a compelling visual look into the experience, the adventure was also captured by Laliberté himself in the form of an online journal. At the time these events were originally taking place, we here at Fascination were more concerned with the happenings here on Earth – with BELIEVE, ZAIA, ZED, OVO, VIVA ELVIS, and BANANA SHPEEL – so we didn’t give much thought to this endeavor. However, thanks to the recently discovered documentary (the aforementioned TOUCH THE SKY), we recently re-discovered a text-copy of this journal in our archives, which allows us to explore this extraordinary time in Cirque du Soleil’s history in more detail. Thus in this series we’ll be taking a look back at Guy’s Poetic Social Mission through his eyes, from the journal, in monthly installments, taking you through the initial steps Guy undertook all the way through to the launch and landing. In Part 1, “The Countdown Begins” we listened as Guy took us through his first steps. In Part 2, “Training Kicks Up a Notch”, Guy got settled in, and passed a few essential tests. Now we continue as he gets down into the nuts and bolts of his training, covering the month of July 2009. Last week, June 29 to July 3, my training mostly revolved around the Life Support System (sanitary aspects, oxygen, decompression, the space suit, etc.). All week, the weather outside was pretty depressing—cold and rainy. Now I’m getting ready for the big exam next week. I’m studying a lot and not getting much sleep (just 3–4 hours per night). . . so a little sunshine would do me a world of good! 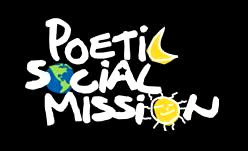 I’ve also had some excellent work sessions with the Poetic Social Mission’s creative team; the project is making good progress and becoming more and more finely honed. Time is passing quickly, and the project requires a lot of time and effort—but everyone is enthusiastic and that gives me a great boost. I’m happy. I spent the weekend in Moscow, where I met with the Cirque du Soleil partner in Russia. It rained harder than ever; in fact, in terms of weather, those were the worst days I’d experienced since arriving in Russia. So I took the opportunity to watch some movies, work out, go to the spa and just relax. On Saturday (July 4), I had dinner with some old friends, who wanted to drag me out to a nightclub afterwards. But by midnight I was exhausted and I returned to the peace and quiet of my hotel room! On Sunday, I found out that one of my favourite restaurants, Nobu, had opened a branch in Moscow—so I couldn’t resist the chance to go gorge myself on sushi! I arrived back in Star City very early Monday morning, ready to take on another week of intense study! Barbara and I had a big exam on the life system support. The test took place right in front of the teachers. We expected really tough questions, but it seems that all the nights we spent studying paid off because it went very well. We got out of there feeling very proud of ourselves, with a few more stars in our notebooks (before seeing the real stars up close)! Today, we studied the emergency recovery/rescue system, which explains the various systems and safety measures to be taken in the event of any malfunctions (from 30 minutes before launch until our return to earth). For example, the parachute system, the various parts that are detaching themselves after launch and the leak systems. This class made me realize two things: That there are potentially hazardous situations at many stages of this adventure. I already knew this, but seeing them in more detail increased my awareness of the risk. On the other hand, their systems have already saved many lives. It’s very reassuring to know that they have analyzed all the steps to be prepared for anything that comes up. So, yes, it’s very useful to be aware of the potential hazards and it’s also comforting to know what to do in such situations! The Russians have been launching rockets for all these years with the same down-to-the-second accuracy. Finally I Can Get My Hands Dirty! Last week was very busy and I didn’t have a chance to sleep more than the week before. We learned a lot of new things, including an introduction to the Russian part of the International Space Station, with explanations of its internal components and systems. Of course, I have continued my Russian classes, which is definitely the hardest part of my training! It’s not going as fast as I’d like, so I’m really concentrating on the basics, which will allow me to be as independent as possible. Sometimes I wish it could work like in the “Matrix” movies, so that I could learn Russian in 30 seconds just by plugging a connection into my skull! A large part of our training concerned our spacesuits aboard the mockup. I like the simulations a lot, because they really give the impression that you’re experiencing the real situation, assimilating theory and putting it into practice. Since I’m action-oriented, I find that this concretizes my learning and makes me realize that things are going to happen… very fast! As I put on the spacesuit, I’m becoming increasingly comfortable inside it: This isn’t a Halloween costume, but something I’ll be wearing every day in space! It was cold and rainy all week. The sun toyed with us and timidly poked its nose out just to give us hope. Apparently the weather is similar in the rest of Europe and in Montreal, which reassures me a little. I tell myself that at least I’m not the only one who’s freezing! Too bad: We haven’t seen anything yet in our courses to counter this kind of problem! Maybe that’s why we’re going through all these hours of training: It keeps us from getting depressed! Like they say here: We’re experiencing the Russian summer/winter! A Very Special Space Show! On Friday, July 10, I flew out to Paris with my team to watch a U2 concert. I was excited all week at the thought of this little getaway and meeting up with my good friends Garou, Gilles Ste-Croix and many others! I had many meetings with my team, but Saturday night was dedicated to the U2 concert at the Stade de France along with no fewer than 95,000 people! I really loved the show—despite the enormous stadium, you could really feel that rock band atmosphere U2 is so good at creating. And I got a big surprise during the show, when Bono announced that I was in the crowd, saying that he had a friend who was training for a space mission and that he would be the first clown/fire-eater to launch into space! And he said this during the part of the show where, in addition to the music, you see a video projection of astronauts on the International Space Station who are in contact with them. I found it really heart-warming, because it’s good to have your friends’ support, even for your wildest ideas. After the show, there was a small party where I saw friends I had not seen for ages. It was a welcome (and much deserved!) break where I could relax and enjoy myself. All in all, it was a wonderful evening. In the end, after a little rain on Monday morning, the sun poked its nose out and stayed with us for the whole week. It was great to see Star City from a different perspective: people fishing and swimming in the little lake, sun umbrellas and strollers… finally, some life! Everyone came out of hiding: the sun was like a big piece of cheese and we were the little mice! My week of training seemed strange compared with the intense two weeks we had just had. It’s as though everything was in slow motion… Maybe I felt like that because the focus was more on understanding the flight stages than on mastering particular tasks. Our training concerned flight plans, including launching, docking, undocking, etc. We had a big exam on Tuesday where we had to show our understanding of the layout and design of the Soyuz, and we passed with flying colours (more stars)! We also learned more about the Russian cabin in the International Space Station (ISS). For example: where the electrical sockets are; the emergency controls; how to switch on the lights; how to read emergency information on the computer; the communication system (which is not the “10/4, Roger” system used on the airwaves!). MY CHILDREN GET THEIR TURN IN THE CANDY STORE! My week was also marked by an important event: my partner, my three oldest children and my goddaughter came to visit. They arrived in Star City on Wednesday, and these three days with them have really brightened up my week. The children found my small apartment and my little bicycle very funny! They were also fascinated by all the stages of my training and took the opportunity to visit the premises while they were in Star City. We had some nice moments together as a family, including a spaghetti dinner at the cottage where my documentary crew is staying. Yesterday, we arranged with our teacher for a simulation, in which we had to put on our fastened-up spacesuits. The children thought we looked like the Michelin man, which they found very amusing! They even sat in the Soyuz, and they just couldn’t take it all in! Last Friday (July 17), we left for Ibiza in late afternoon. I took advantage of the beautiful location (better than the inside of the Star City gym!) to catch up on my exercise. Once again, I also made the most of this opportunity to take the boat out for a few short trips (water is like a magnet for me) and to enjoy dining with friends. As always, time flew by like a Soyuz! Yesterday, I left for Houston with my documentary crew. My schedule over there will be really heavy, and apart from my training, the trip is important to me because I hope to brief NASA on my project: one small step for Guy, one small step for the project! Stay tuned. . . The weeks are just whizzing by—I’m already halfway through my preparation. This is a good sign, because it means there’s not enough time to get bored! We arrived in Houston late in the evening on Sunday and Monday, I had to wake up early. With my back-to-back schedule, I would have to get up at 5:00 the next morning to get some workout time in! My timing couldn’t be better, though. What with the 40th anniversary of the moon landing, Julie Payette’s mission and Saltimbanco playing at the Toyota Center from July 22 to 26, this week, Houston is the place to be! The last few days have been really interesting; in terms of the range of things we’ve learned: safety training; an introduction to the American part of the International Space Station (ISS); distress, emergency and communication protocols; and so on. It was also really good to see that our schedule on the ISS is organized based on our mission goals (i.e. time for sleeping, eating and other activities). With all this information, I’ll be ready to be a good space-travel companion! We also took a tour of the NASA facilities, including mock-ups, simulators and mission control centres. We had a lot of fun on some of the simulators, even though that wasn’t strictly part of our training! You could say it brightened up my week. . . The weather was stifling all week—over 35°C with thunderstorms and intermittent rain. But, thanks to the air conditioning running at full blast, it was freezing-cold inside the buildings. Well, at least it keeps you awake! Of course, I followed the mission of my friend Julie on the NASA website! I even had the unexpected thrill of getting a phone call from her and Bob Thirsk — I was so excited! I left Houston yesterday afternoon with my head stuffed full of information and the feeling that I had spent a week that was both enriching and important to my overall preparation. One thing that made this week so important for me was the series of meetings I had with NASA people about my mission. I’m very happy with the feedback I got and pleased that my goals were well received. I also had the great pleasure of getting together with my crew a few times—at the press conference, meetings at the JSC, and a barbecue hosted by Jeffrey and his wife. As this was our first chance to spend time together, I took the opportunity to ask them what they were expecting of me during our training in August. Jeffrey showed us some pictures he had taken from space, which just made me looking forward to it even more! I arrived in Ibiza for a short 36-hour stay with my kids, my love and my friends, including my old buddy Gilles Ste-Croix. Like each time I come here on weekends to recharge my batteries, I enjoyed everything: the good company, my Chef’s good food and the good weather. I returned to Star City with a double dose of energy—and luckily too, since this week’s schedule, like the previous weeks, is jam-packed! I was happy to find out though that we’ll be learning all sorts of new things… which I’ll tell you about next week! Thank you for reading me so faithfully. It touches me to see that you’re curious about my mission in space. And while you’re here, I hope that you also take the time every so often to look at my foundation website to discover all the many ongoing projects—and all those that we’ve accomplished so far. You’re an integral part of the process: one drop at a time… and we create a wave. Since our arrival in Star City close to 3 months ago, we’ve met quite a few people and a true sense of camaraderie has taken over. Given the serious nature of what we’re doing, the entertainer in me is working hard at keeping the atmosphere light, so a good fit of the giggles is always welcome! I have to say that I’ve found a fine partner in Barbara. This week’s anecdote: Barbara and I had our bikes stolen! We were in our ham radio class and had left our bikes outside, unlocked. During a short break, Barbara went outside, and when she came back, she said: “It’s funny but two young boys are looking at our bikes as if they wanted to take them!” We didn’t think much of it but she was right, since that’s exactly what happened. This brings to 3 the number of bikes stolen, since Geneviève, my coordinator, also ended up “bikeless”! The weather was gorgeous all week. As I’ve mentioned before, good weather brings lots of life to Star City but I had forgotten to tell you what other quiet charms it offers: babies crying in their strollers, planes flying above our heads all day long, construction work starting with a pickaxe at 6:00 a.m. and ending with a jig-saw at 9:00 p.m., party-goers bellowing their lewd songs throughout the night accompanied by the backup vocals of barking dogs… And then, when all becomes still, we’re kept awake by the lovely buzz of mosquitoes in our ears—the little buggers absolutely insist on keeping us company! Ah, it just makes me feel so much at home! A warm hello to all my friends who read me every week. I’m thinking of you! And to all those who have started following my adventures: welcome to my universe! I hope you also take this occasion to send the link to your friends and family since one of the goals of my blog is to arouse people’s interest in the cause and invite them to follow the event I’m aiming to create around my (OUR) Poetic Social Mission. Many of you have written to us to inquire about products related to the mission (T-shirts, badges, pins, etc.). Your request has been passed on to ONE DROP. Without a doubt, this will be a fine way for the Foundation to continue its fund-raising activities while leaving you with a souvenir of this unforgettable adventure! Thank you for your support and thank you for believing in my slightly crazy but attainable dream: Water for all, all for water.